ATTENTION: THE "NINJA" and "HYAKUTARO ARRIVES" ACHIEVEMENTS ARE BROKEN. To anyone who continue to keep on trying to unlock those achievements, don't waste your time. They're broken achievements. 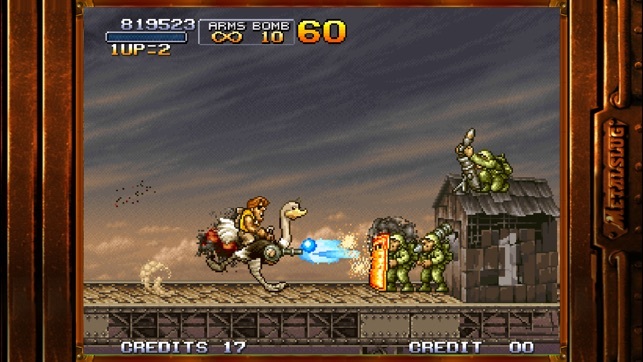 Metal Slug 3 has always been my favorite game in the entire Metal Slug series. 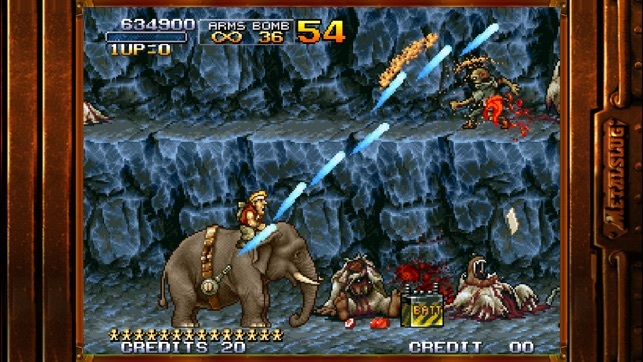 I have played this game on the arcade and also on Xbox live many years ago. I've always loved the detailed and fluid character animations and background, and of course the fun and action packed gameplay. 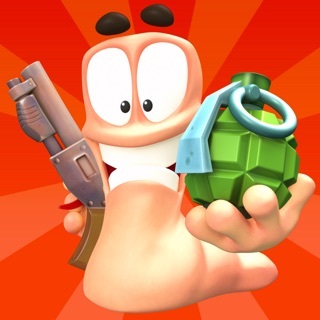 I honestly would like to give this game a five star but it suffers from horrible controls... 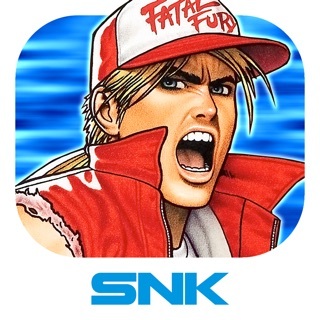 But what can we expect from DOTEMU, I don't know why SNK hired this company to emulate their games on the iOS... All of the iOS ports of the well loved SNK games have horrible controls and the Bluetooth multiplayer don't work. And what is up with the limited continues? Should it be unlimited? 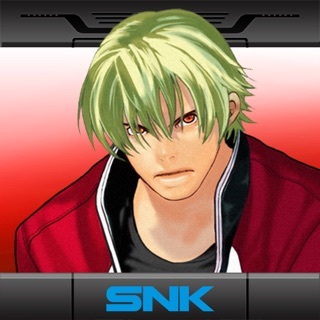 ALL SNK Games' BLUETOOTH MULTIPLAYER DO NOT CONNECT. 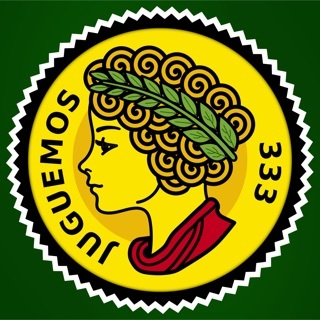 What the Fûçk? No updates, No Fixes. DoTEMU is a bullśhit company. 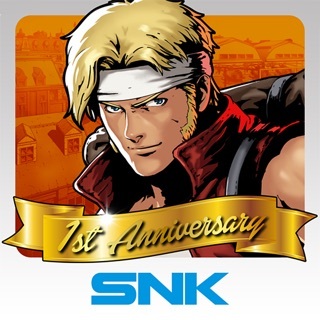 It's really disappointing that SNK do not update and fix their games' problems and glitches. No matter how many times fans complain. I guess they are just like Capcom. It's all about the money, right? It is a very good port with the exception of a few minor details. The biggest drawback will be playing with the touch controls on your phone. Unless you have a larger phone or an iPad it can be a bit of a pain to play the game. I have an iPhone 6s and it does make it a little difficult to see incoming fire. The way I usually play it is on my iPad at home with my icade. The icade and iPad paired together make for an amazing experience playing this game. 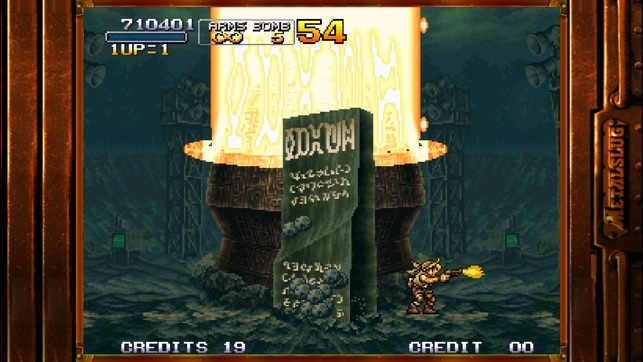 However sometimes when I am out and about I get the itch to play some Metal Slug, and I can scratch that itch on my phone. The biggest thing I want to see fixed is diagonal shooting please! 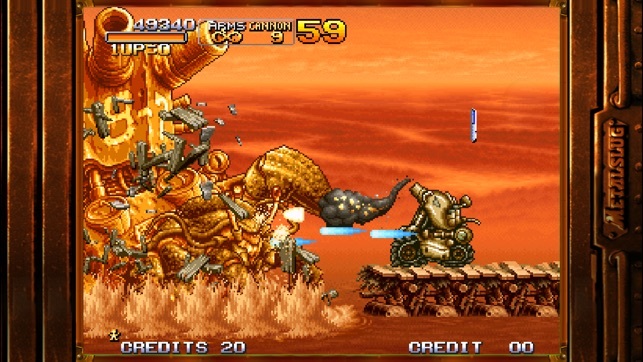 All in all I am pretty satisfied with the port, and would recommend it to anyone that loves metal slug. This game is simply amazing and made better with the opportunity to play on smartphones. However, this games notoriety in difficulty coupled with the awful control choices leave a bad impression with this port. 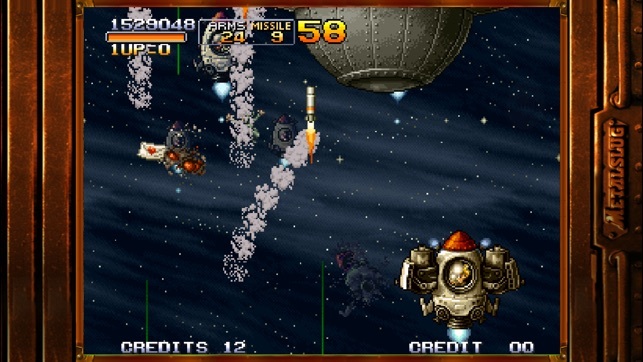 The game probably plays well with a smartphone Bluetooth controller but the controls in game cause difficulty seeing incoming bullets and enemies. The decision to keep the controls static and on the bottom of the screen causes my thumbs to block off most of the action. Playing on the "windowed" format may help but then the game just looks ugly. Please consider more dynamic controls like those adapted so that movement can be made anywhere on the left side of the screen without needing to persistently go to the same spot on screen. Also make it so that as long as your thumb is still held on the screen that you can move in the direction you were making.